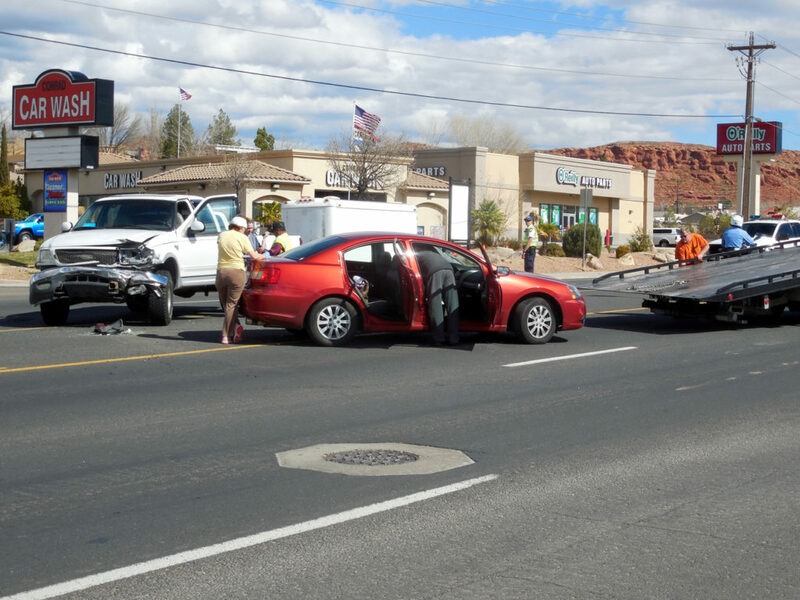 ST. GEORGE – A driver’s failure to yield triggered a collision on Sunset Boulevard in St. George Wednesday morning, police said. 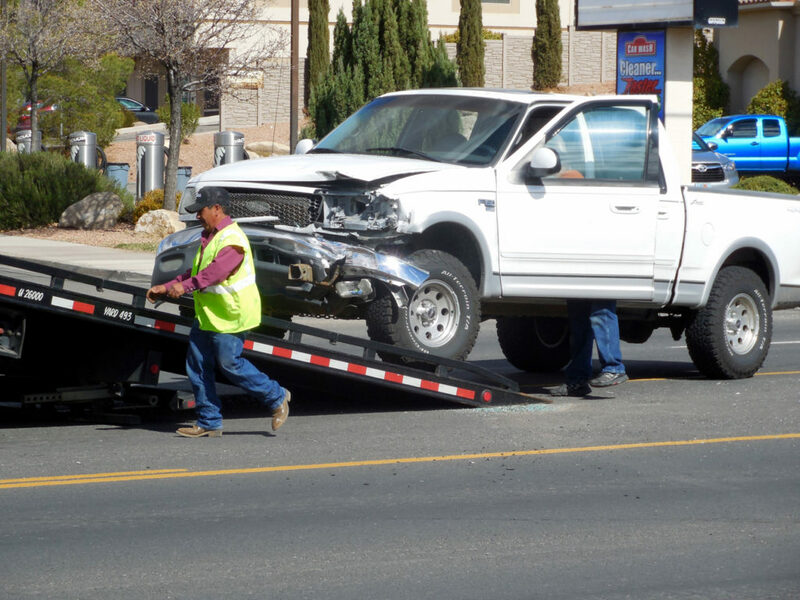 At about 11:45 a.m., a white Ford F-150 pickup truck driven by a woman was westbound on Sunset Boulevard in the fast lane, St. George Police Officer Dave McDaniel said. 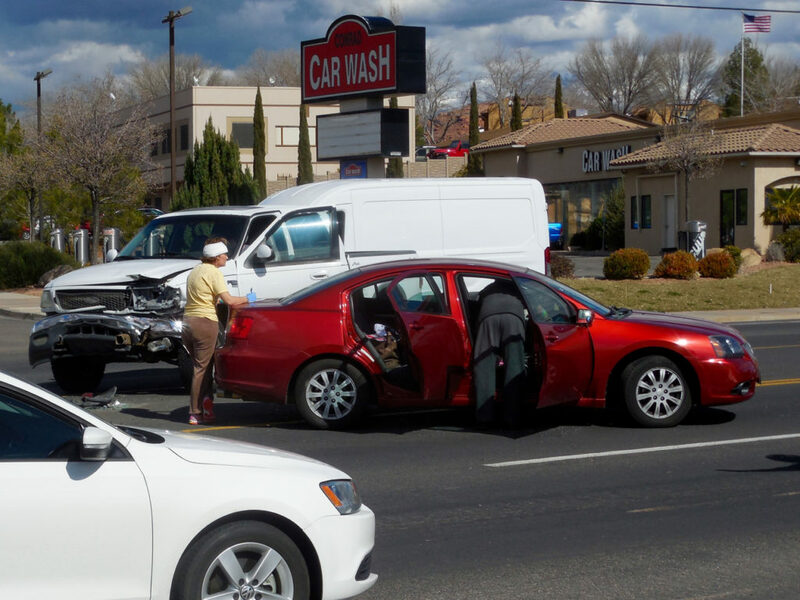 A woman driving a red Mitsubishi was stopped at 1300 West and Sunset, facing south. 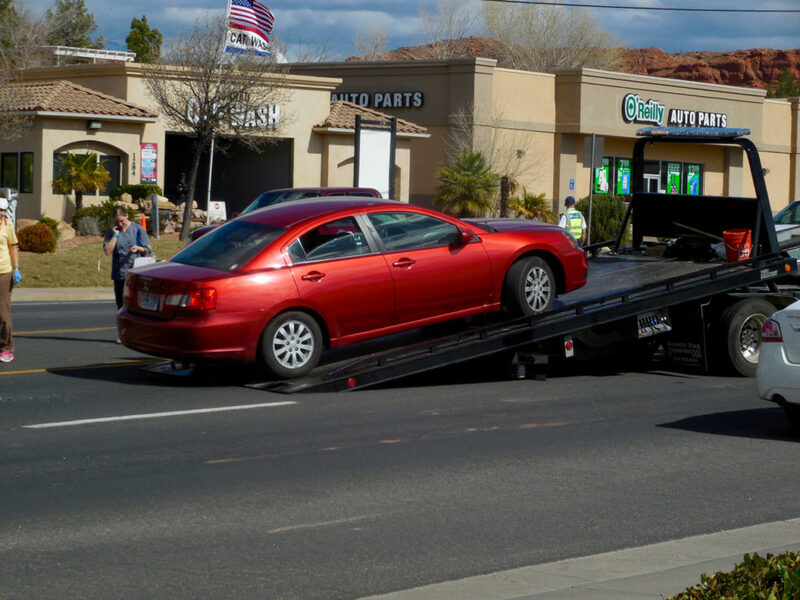 The driver of the Mitsubishi started to make a left turn onto Sunset and was moving towards the center turn lane, planning to make a legal merge into traffic from the center, McDaniel said. 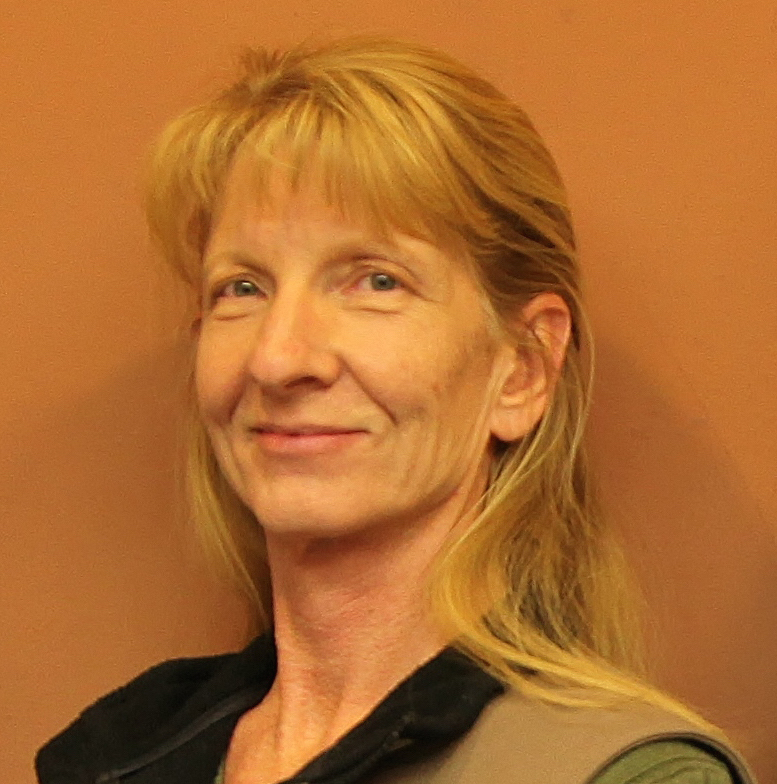 The driver of the Ford locked up the brakes but could not stop in time, McDaniel said. It was going to be a little close anyway, McDaniel said, because the Mitsubishi driver made the left turn “a little tight,” but then she stopped in the lane of travel. “When you’re going to turn left, make sure it’s clear all the way through,” McDaniel said. 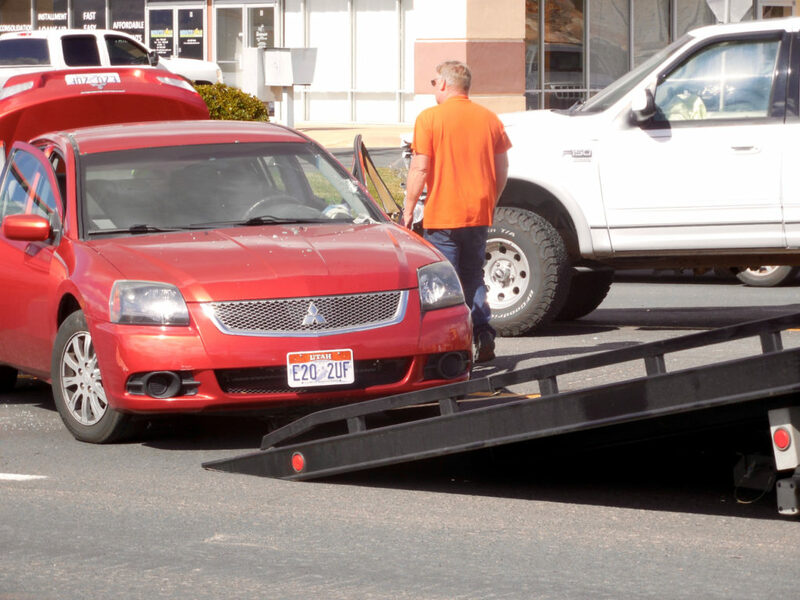 The driver of the Mitsubishi was cited for failure to yield and having no insurance. 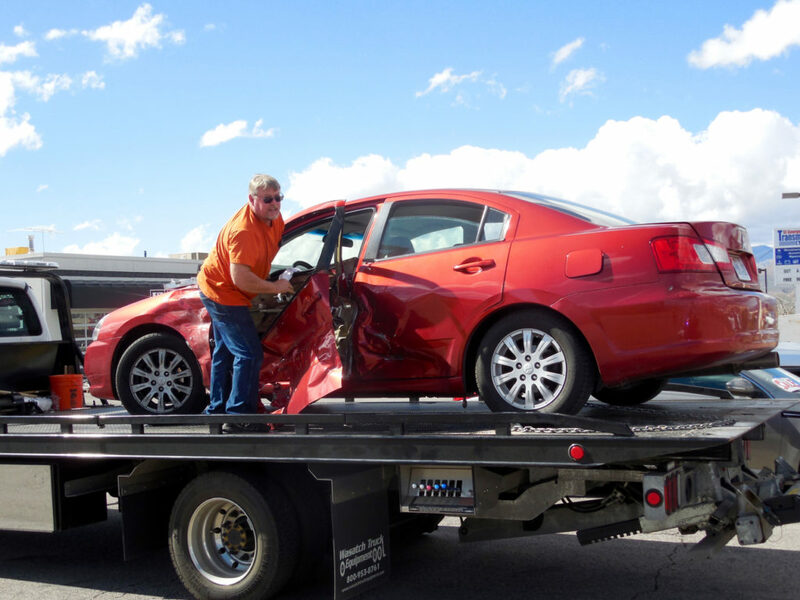 Because of the lack of insurance, the vehicle went into state impound, McDaniel said. Both drivers suffered minor injuries but refused medical transport. The airbag deployed in the Ford, but not in the Mitsubishi. 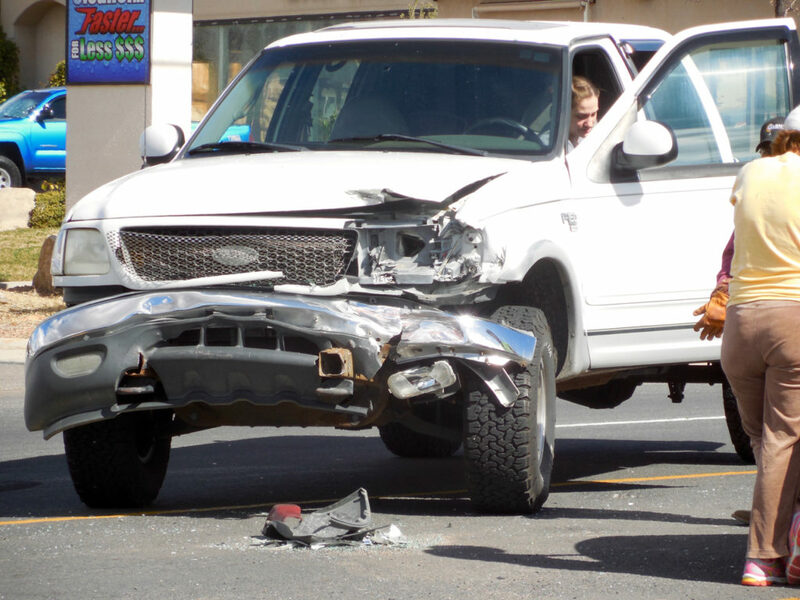 Both vehicles were towed from the scene.